↑The following is PACV-2 (OinC Bill McCollum) in the Plain of Reeds operating out of Moc Hoa in November 1966. Image courtesy of RiverVet. 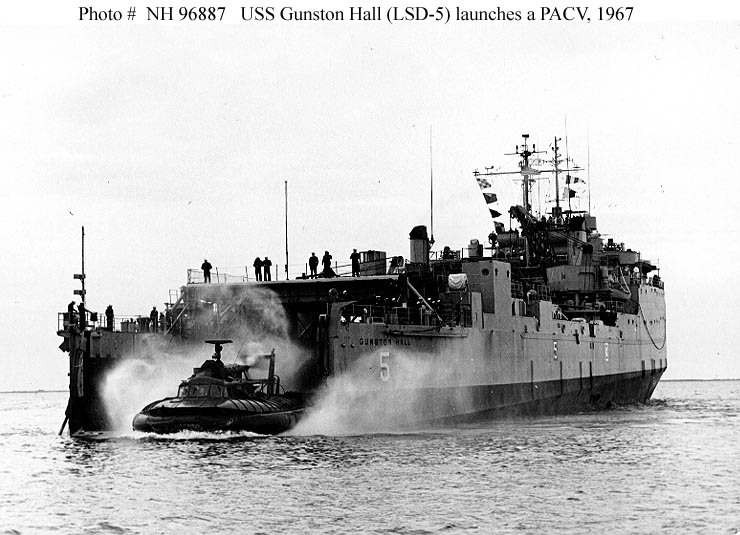 ↑USS Gunston Hall (LSD-5). A Patrol Air Cushion Vehicle (PACV) leaves the ship's well deck, circa January-February 1967, probably in the vicinity of San Diego, California. The PACVs had seen experimental service in South Vietnam's Mekong River Delta. The original photograph was released by Commander Amphibious Force, Pacific Fleet, on 15 February 1967. Official U.S. Navy Photograph, from the collections of the Naval Historical Center. 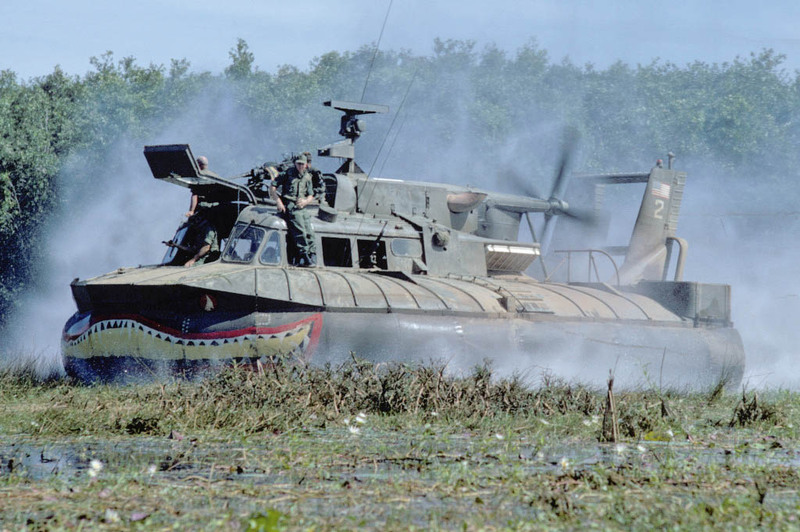 ↑Hovercraft in Vietnam War: Patrol Air Cushion Vehicles ( PACV ) 1967 US Army. Jeff Quitney.